FOR SALE! 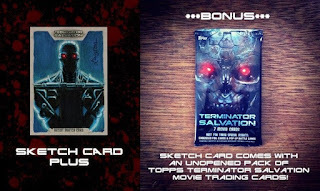 TERMINATOR Sketch Card + Free Card Pack $25! 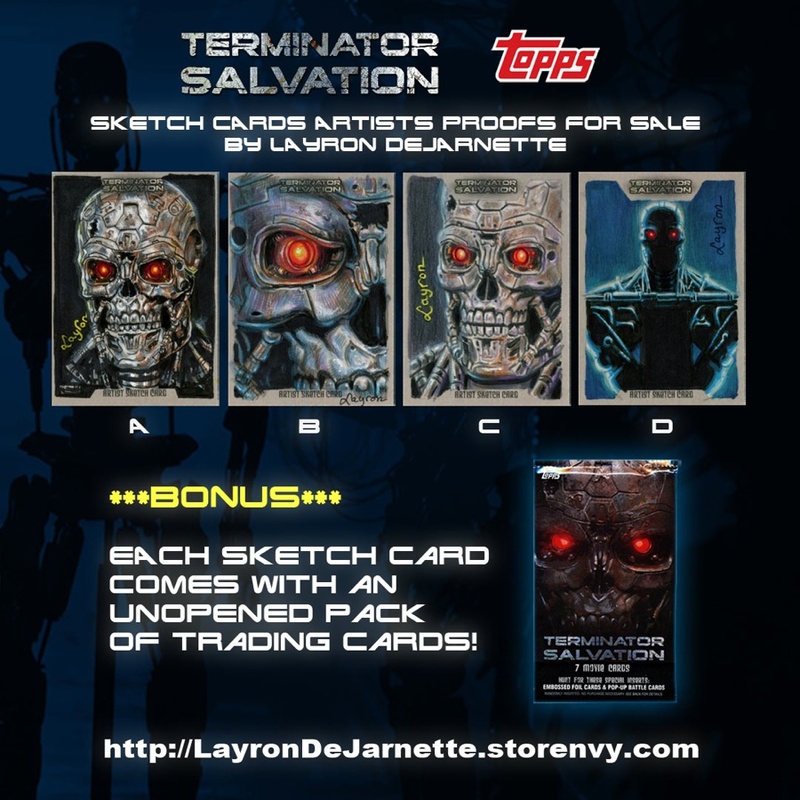 This full color card is in MINT Condition and 100% HAND ILLUSTRATED by the artist using acrylic paints, colored pencils & markers, with highly detailed rendering. 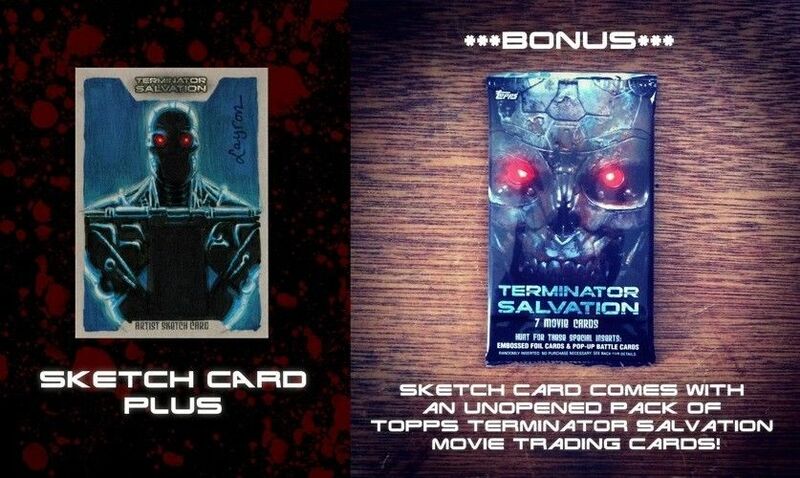 **BONUS** Sketch card order shipped with an unopened pack of Topps Terminator Movie Trading Cards! 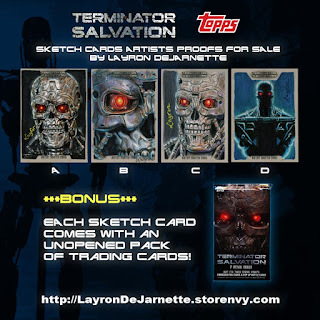 Sketch card is packed in card sleeve inside of a plastic top loader and shipped in a bubble mailer within a secured envelope. The sketch card is extra protected when shipped!